Fill A Natural Negative Mold With Colored Epoxy And Get Two For One! 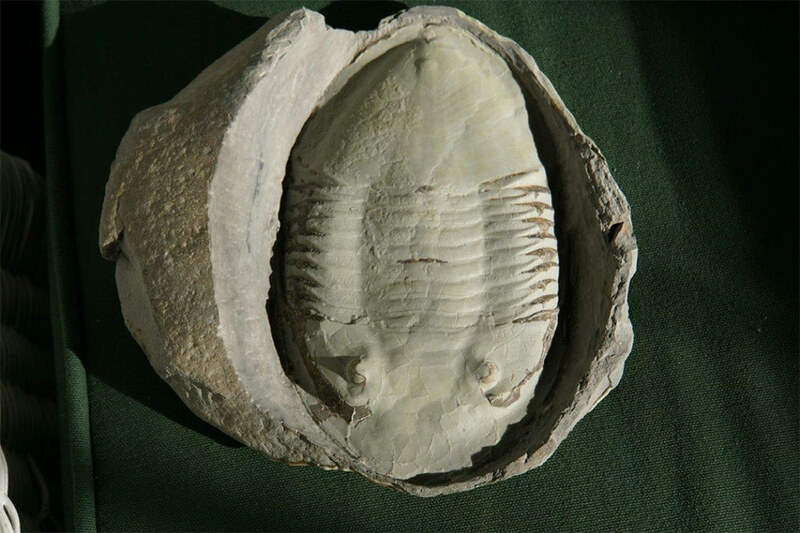 These pictures illustrate the technique of using the natural impression that a fossil can leave in the rock matrix. 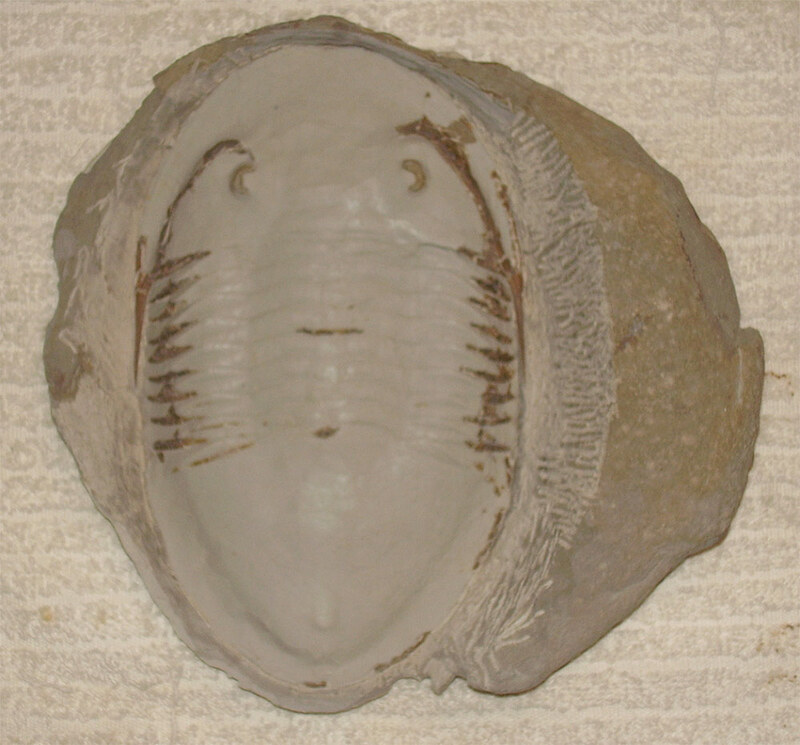 This Isotelus trilobite shown below is about 8 inches long and is from the George Stone collection. 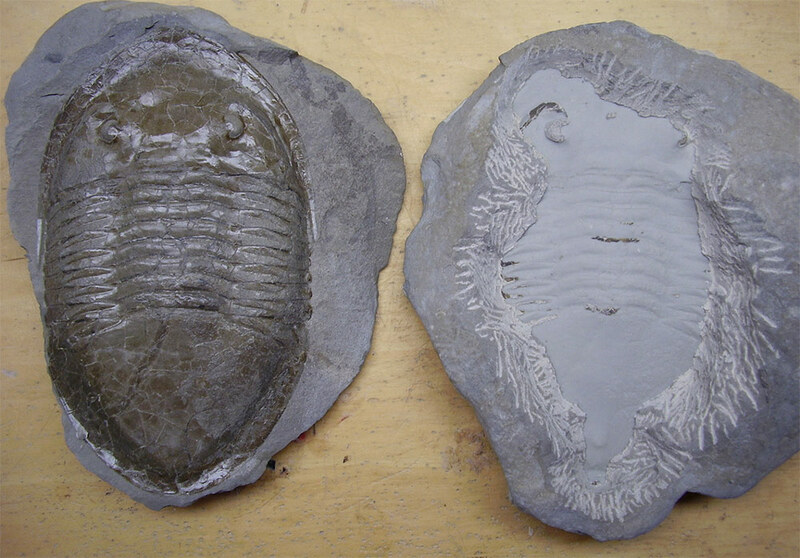 When the rock was split the trilobite was revealed with its outer shell, or carapace, almost completely intact. A small amount of the carapace was pulled off though and stuck on the negative impression side of the rock matrix. George hired Robert to fill in the negative impression with colored epoxy and prepare down thru the rock to the epoxy cast. 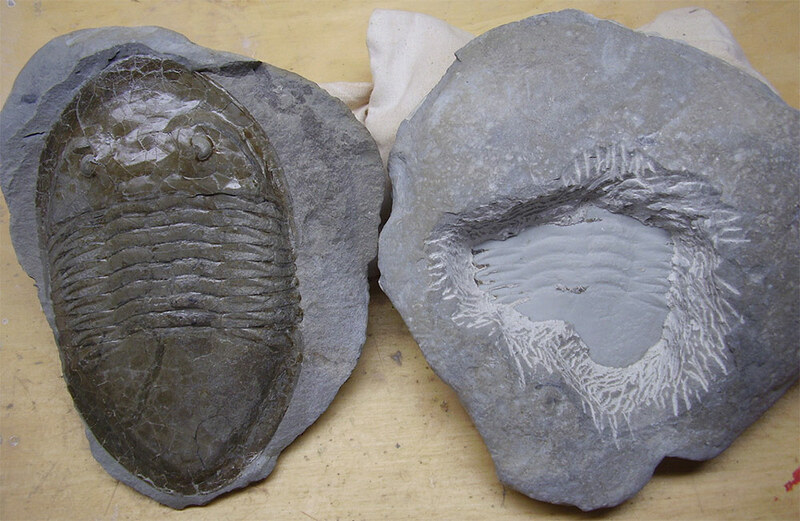 This technique worked very successfully exposing the epoxy cast with the trilobite carapace pieces attached in their natural positions essentially giving George an identical copy of the original trilobite specimen. George calls the lighter colored epoxy cast specimen the “Ghost”. The epoxy cast could also be painted to match the original specimen.